How Can You Get More Space Out of Your Concrete Garage? 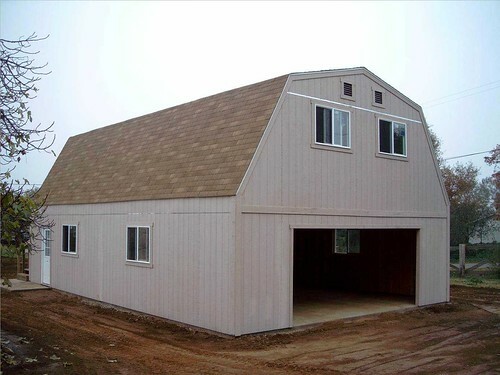 Home Rooms Garage How Can You Get More Space Out of Your Concrete Garage? Making the most out of any space within your home is essential and this philosophy should also include your garage. A concrete garage can provide the perfect space for storing large items, such as a car or for external utilities like additional freezers or tumble dryers. But can you get more out of it? Consider what is currently in your garage and how much ‘free’ space is available. Traditional garages are rectangular in shape and if you store a modern car, there is limited ground level storage space available. However, depending on the height and size of your car and garage, you could put shelves on the walls, and store items like paint tubs, packets of screws or other DIY equipment on shelves rather than at the back of the garage. If you have utility items at the back, why not contemplate putting a false wall in between the car and the utilities. This false wall could be used to store shelving again and segregate the washing area from the car. With this additional wall, you could hang bikes or ladders to the wall or store items on high shelves. It could also provide an easier access to utilities with a clear pathway created. If you currently do not store your car in the garage but still want to create more ground floor space, consider storing upward. Hanging bikes from bike hooks opens up large more ground space and could provide enough space for you to either store outside furniture (which you cannot currently store inside) or open up the possibilities of creating a work station. Most domestic garages are over 2m in height which can provide a lot of vertical storage space. Depending on your current garage door, you may not be able to store up close to it, but a simple change of garage door design, from an up-and-over to a sectional or roller style can also increase the usable size of the garage. A storage unit that has a 50x50cm footprint, but is 1.8m high, can help to remove items from the garage floor. If you have an apex roof, you can also create a false ceiling which could create additional storage over the top of your car. Converting the garage into a storage space at the front and an office or additional room at the back can also be a better use of space. Whatever you decide to do with your concrete garage it is important you make the most of the space available. Building upwards is an easy option which can free up ground level space. This could allow you to segregate parts off or do even more with this space than you ever imagined. If you do decide to store upwards, be aware of the restrictions and safety, and make sure hooks or clips can support the weight you intend to put on them.